Whether your objectives include maximizing timber growth, improving wildlife habitat, or controlling invasive exotics, selective herbicides are powerful management tools that can help you reach your land management objectives. MRM is equipped with expert knowledge and the latest in herbicide application technology to help landowners with their herbicide applications. 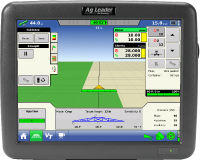 Our certified herbicide applicators use the latest in GPS guided application technology. Our spray equipment is equipped with GPS guided flow meters and rate controls for very precise herbicide applications. On-screen uploading of GIS mapping data and GPS guidance yields the most precise application coverage while protecting against off-target applications. 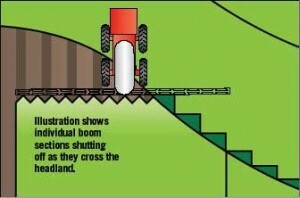 The auto boom equipped sprayer systems protects from double coverage, over application, and herbicide waste, automatically switching off and on based on orientation to the previous pass. The submission of as-applied maps upon completion of the job gives landowners a detailed geo-referenced map of the herbicide application (see example on right side of page). Landowners can rest assured that MRM’s experienced applicators will apply their herbicides safely, efficiently, and effectively. Our resource professionals are experienced in helping landowners with their site prep, herbaceous release, and mid-rotation release applications.